University of Pennsylvania Law School, J.D., 2005. Home > Attorneys > Conan, Jesse T.
Jesse Conan’s practice concentrates on complex commercial litigation in both state and federal courts at the trial and appellate levels. He represents domestic and international clients in connection with complex business disputes and class actions involving contract claims, fraud, products liability, RICO violations, unfair competition, theft of trade secrets, and other business torts. 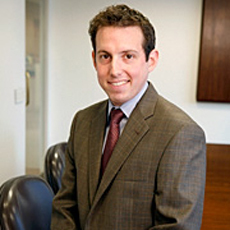 Mr. Conan regularly counsels clients in connection with employment related matters and securities disputes, including before the Securities and Exchange Commission. He also represents clients pursuing takings claims against the United States in the Court of Federal Claims. Prosecution of fraud and breach of contract claims against investment manager for misuse and conversion of large investment fund. Currently prosecuting takings claim against the United States arising out of the seizure and settlement of claims held by U.S. nationals against foreign government for acts of state sponsored terror.